In my previous post I had said that I was in a bit of a blogging slump, and I've taken the first step to getting out of it by publishing my previous blog post. YEY! Here's another one for you all! In the days that I didn't know what to blog or even feel like blogging, I had not masked, but I.m getting back in track. I've masked almost the whole week, double masking with sheet masks on one day, sheet masking after a wash off the next. Yup, I even used clay masks, which I have three new products that I am currently testing, blog will be up in a few weeks. Not sure if I have mentioned it, but I sheet mask at least twice a week. AT LEAST, twice a week. My skin will not forgive me if I forget, and this is based on experience. Sometimes, I don't use the same sheet mask every week because I have dozens of different kinds that I test every week. For this week, today specifically, I chose to use the Innisfree It's Real Squeeze Black Berry. As I have mentioned in my previous post, Innisfree is a "Korean beauty brand that focuses on natural ingredients. Their products have 70% natural ingredients, and 1% of annual profits go to 'neighbors' ". Check out my previous posts It's Real Squeeze Tea Tree and the It's Real Squeeze Bija. “Moisture from squeezed black berries that are full of nourishment to keep the skin healthy.” This means your skin oil levels will be replenished, and the nutrition your skin needs for that healthy glow will be replenished. What is a Black Berry? 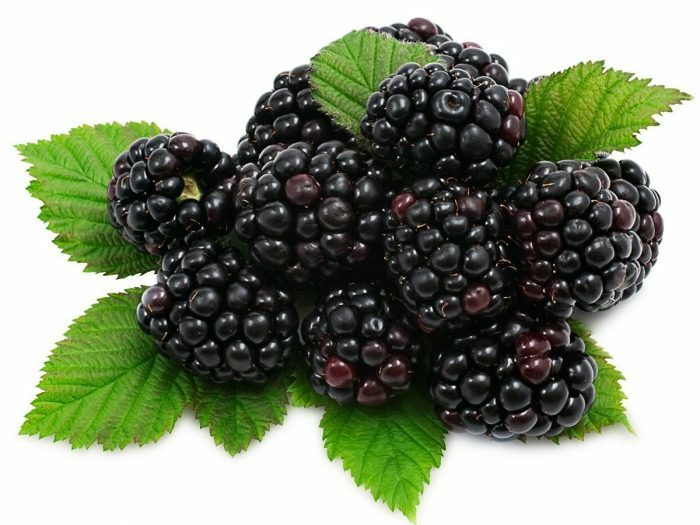 Black berries not only help with digestive health, but it also helps with immune defense, heart function, aids in memory, weight management, and keeps the skin healthy. How? It hydrates the skin, fights free radicals with antioxidants, treats wounds because it has a bit of an astringent quality, it has vitamins that helps rejuvinates skin, and it's great for a skin detox for oily skin. Heeh, heeh, Oily skin. yup. but black berry had me at antioxidants. This is why I chose this Black Berry mask this week. My skin was in need in nutrients. This is a screenshot of the ingredients from Cosdna. Click HERE to see the web page form. As usual, this is what I do. The mask is actually the same as the Innisfree It's Real Squeeze Tea Tree sheet mask. A bit identical, really, unlike the Taiwanese sheet masks that I love (My Scheming).The material is the same breathable cotton sheet, which Innisfree's website describes as having 3 layers. The three layers is supposedly for better skin absorption, and that it should be breathable. I made that sound like you can breathe through the sheet mask. What I meant to say that the skin will be able to breathe through the mask, while fully absorbing the essence on the mask. The Essence in this mask is not like the Innisfree It's Real Squeeze Tea Tree mask. The liquid that comes out from the pack is a tad bit milky. The Klavuu white pearlisation toner (review on the toner soon) comes to mind when I use this, but in a much thinner form. It is an essence, after all. The smell is not exactly like black berries. It reminds more of something clean. No, not detergent. That would be alarming for me. Also, this is also a bit sticker than the Tea Tree version. I am INLOVE with this sheet mask. It's so...light. It calms the dry parts of my skin, and adds nourishment to the oilier parts. This mask really helps boost the rest of my skincare when I use it after my essences and serums. This is one of the sheet masks that I had recommended to my friend, who has never tried sheet masks. She LOVED this one because it helped her one raging pimple, calm down and it helped reduce it in size. I actually think this is better for acne than the tea tree (no offense, tea tree lovers), and the Bija versions of Innisfree's It's Real Squeeze line. My skin felt plump, with or with out the use of my essences and serums. I absolutely did not break out or have any bad skin reactions. My rating: 5/5 – I recommend this mask, especially for those with dry skin, and is new to sheet masking. I wrote this a few weeks back, but I have not posted it. I've been in a skincare blogging slump, and I've been trying to get out of it. This post is my first step. haha. It's the middle of summer, which means it is the hottest weeks of the season. This means the oilier parts of my face are partying. It's still summer, so there is still a party going on my face, particularly on my forehead and nose. Yup. Like a boss. It gets red, irritated, and clogged. Please, skin, no more parties. Mean while the drier parts of my face are chillin. For someone with oily combination skin, it's awful. The mask I chose to use last night is related to soothing, party control, and possibly reducing my pimples to a smaller size, if not erasing it. The mask I chose is Innisfree Tea Tree It's Real Squeeze Mask. Innisfree - This is a Korean beauty brand that focuses on natural ingredients. Their products have 70% natural ingredients, and 1% of annual profits go to "neighbors". I'm not quite sure what they mean by neighbors. I'm guessing they're recycling, and use ingredients that are earth friendly. I could be wrong, but if you know what they mean by neighbors, leave me a comment below. Thanks in advance! Also, their product ingredients, like their famous green tea, is grown on the island of Jeju, which is the largest island, south of Korea. I've heard the weather on Jeju is just always perfect. This sheet mask will help with troubled skin. For some reason when ever I hear or read the word "troubled" I think of "rebel". I guess it fits, though. Acne is skin rebelling. So, it's like my skin is partying and rebelling against me. But why skin? I take care of you. This is a screenshot of the ingredients from Cosdna. Click HERE if you want to see the web page format. This is just how I use a new mask. New to me, anyway. The mask is a good fit for my face, though I know a few who said this was a bit small for their face. Like I said in my "What are sheet masks" post, not all masks are the same. The mask itself is made of, as the website says, "three layer sheet" to "provide nutrition to the skin at higher absorption rate". The sheet mask is pretty much soaked, and moisturizing on my hand. As always, there is a lot of essence. It's thin and close to the water consistency, just what a regular essence looks and feels like. The material is very soft, and cottony, so with the water-like essence, it is just dripping wet. There was essence on my bathroom counter tops, but that's ok. There's A LOT of it in the pack, anyway. The smell is a bit astringent, then again, that is what tea tree smells like. It smells a bit astringent-y. I've saved a bit of the essence, since I masked during the afternoon. The saved essence will be used tonight for my night time skincare. so we'll seee what happens then, shall we? I usually buy mine on Amazon.